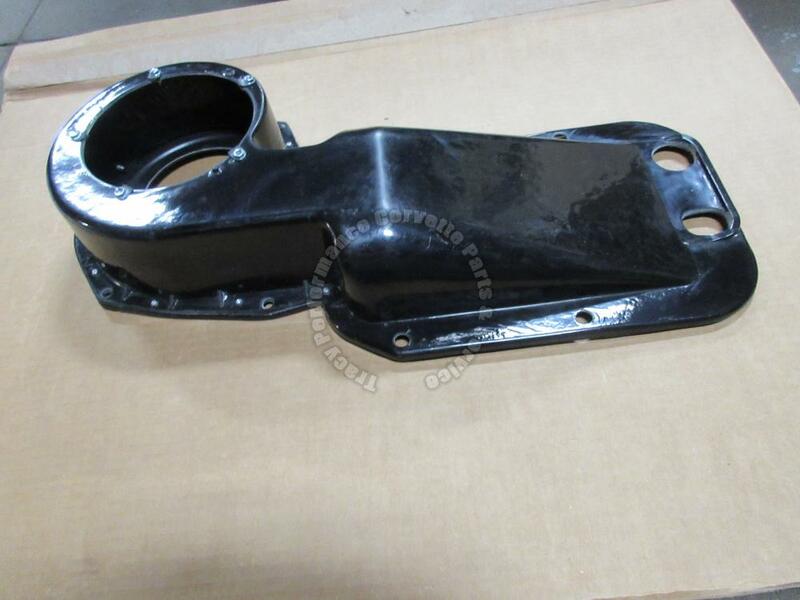 This is for a New Reproduction High Quality Corvette Press Molded, (Moulded), Fiberglass, (Fiberglas, Fiber Glass), Heater Box. This box is correctly used for 1964 64 1965 65 1966 66 and 1967 67 Corvettes WITHOUT Air Conditioning. It includes the metal backing plate and it comes with the screws already in the holes to mount the blower motor. Please see our other listings for the Inner Heater Box and Blower Motor. We have in stock a 1963-1967 used original factory air conditioning system in another listing. We also offer Vintage AC Systems.This item can be picked up at our Corvette Parts and Service Center, Tracy Performance, 29069 Calahan Road, Roseville, Michigan 48066-1805, (just Northeast of Detroit), to save shipping costs. Please email us with any questions on our products, services or shipping! Please search the web for info on TracyVette and thanks for your interest! The Copyrighted Info and Pictures are the Property of Tracy Performance! On the right front side of the firewall.